Hong Kong Adapter Plug Kit has the adapters you will need for traveling to all parts of Hong Kong. 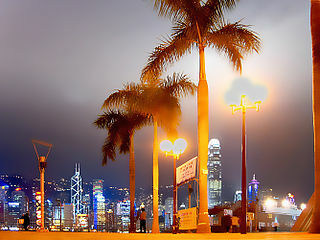 Hong Kong is located in Eastern Asia bordering the South China Sea. Hong Kong Adapter Plug Kit has the adapters you will need for traveling to all parts of Hong Kong. Hong Kong adapter plug allows you to plug your foreign appliances and electronics into Hong Kong wall outlets. Hong Kong operates on 220 volt electricity and is generated at 50Hz (Cycles) Alternating Current. United States 110-120 volt electricity is generated at 60Hz (Cycles) Alternating Current. This difference in cycles may cause the motor in your 60Hz United States appliance to operate slightly slower when used on 50Hz foreign electricity. Most modern electronic equipment including battery chargers, Lenovo, HP, Asus, Toshiba computers, iPods, etc., will not be affected by the difference in cycle. Currency in Hong Kong is the Hong Kong Dollar (HKD). Credit cards are widely accepted throughout Hong Kong. Foreign currency and travelers cheques can be exchanged at most banks. Travelers cheques are widely accepted at hotels and restaurants. Hong Kong has modern facilities provide excellent domestic and international services and microwave radio relay links and extensive fiber-optic network. Cell phone coverage is superb. When travelling to Hong Kong you will want to take an international or unlocked cell phone with a prepaid Hong Kong SIM card. You can also contact your mobile service provider to set up an international calling plan. You will need an adapter to charge your phone. Most cell phone battery rechargers should be multi-voltage, therefore will not require a converter. If the charger says 100-240 volts, 50-60 cycles then your charger in multi-voltage. Hong Kong has 861,516 internet hosts and over 4.873 million internet users. Internet access is widely available in hotels, internet café, coffee shops and Wi-Fi hotspots. When traveling with your laptop or iPad you will need an adapter to charge your device.